Just so you know, we take data protection seriously! We never share your data with third parties and we promise to only send you information on offers, competitions and news relating to Thistles Stirling. Love was in the air at Thistles, Stirling at the weekend ahead of Valentine’s Day this Wednesday. 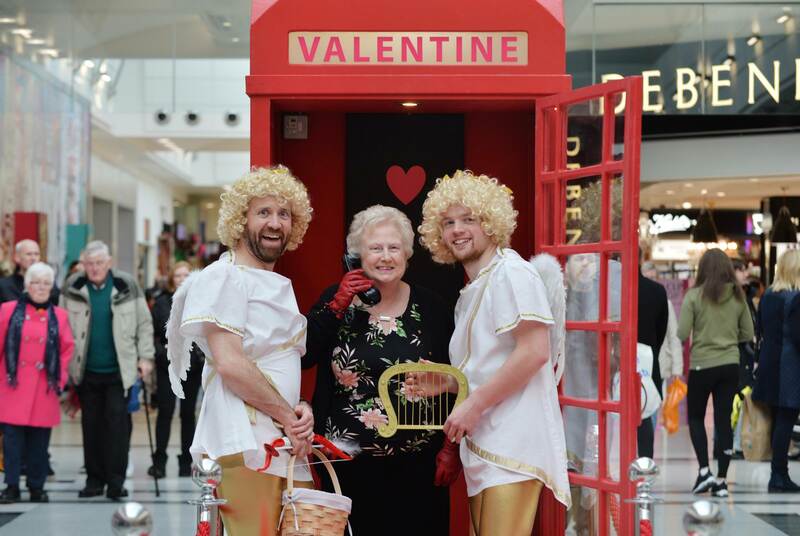 Cupid called on shoppers from a Valentine’s Telephone Box within the centre with an array of romantic compliments and on-the-spot prizes given to those who were lucky enough to pick up incoming calls when passing. Two real-life cupids were also on hand to keep shoppers entertained with love-themed sweet treats, retailer prizes and naughty but nice compliments.